Nineteenth and early 20th century literature on dissectors and dissection was generated as a result of the controversy that ensued when bodies went missing from their graves, medical students were suspected and local populace rioted. 1,2 Much of it is refractory writing in the form of journal articles, editorials and anecdotes published by a medical elite at a time when the ranks of medical students swelled and anatomic material became scarce. An iconography of dissection photographs has emerged to supplement this colourful history — the collaborative vision of Jim Edmonson, the curator of the Dittrick Medical History Center and Museum at Case Western Reserve University, Cleveland, Ohio, and medical historian John Harley Warner of Yale University School of Medicine, New Haven, Connecticut. Their richly illustrated large-format monograph brings together postcards, cabinet cards, stereographs and scrap-book album pages drawn from a number of sources, including several important pieces from the Women in Medicine collection at Drexel. More than half of the images — some of which are quite extraordinary — are drawn from the nearly 200 pieces that Edmonson procured for the Dittrick Museum. 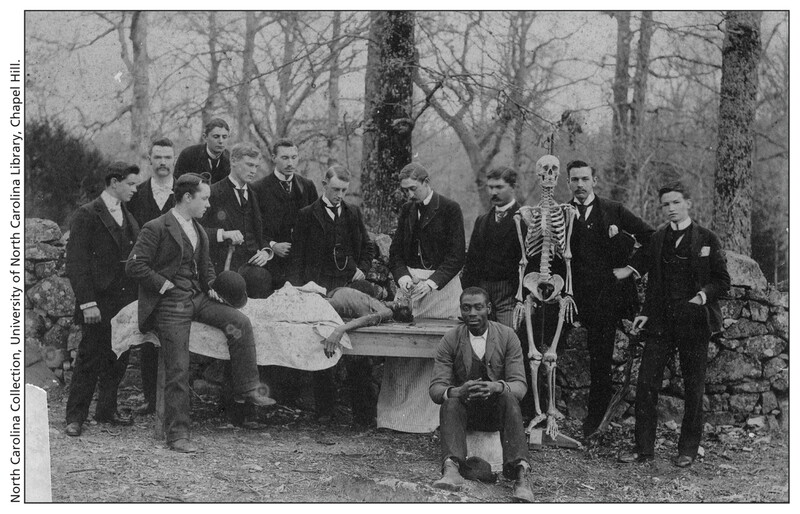 In this circa 1890 staged dissection scene, medical students at the University of North Carolina, Raleigh, included all the key elements of the genre: cadaver, table, dissectors and skeleton, as well as the janitor or porter. Image courtesy of North Carolina Collection, University of North Carolina Library, Chapel Hill. 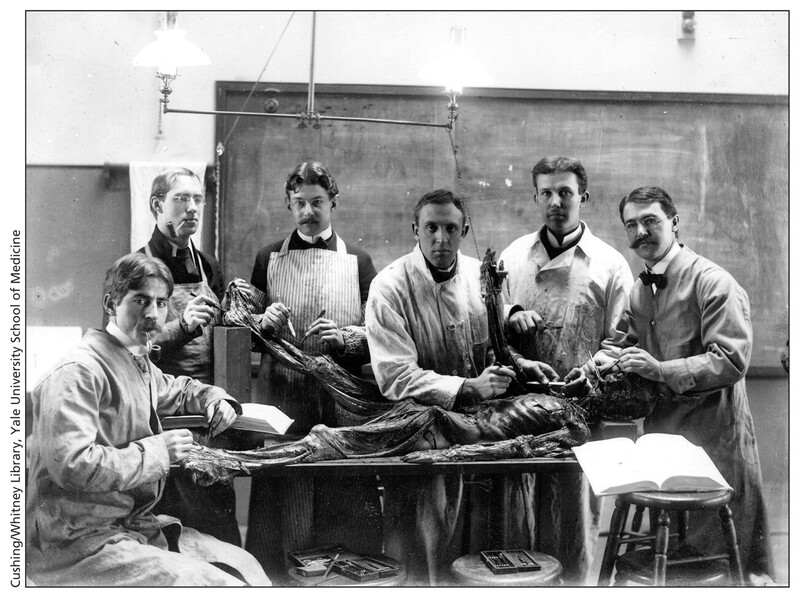 The majority of the photographs are group portraits of student anatomists standing behind their cadavers with anatomy books propped open and a display of period instruments such as scalpels, hooks, tension saws and, in one picture, an iron calotte clamp. Other recurring elements of the genre include skull and bone graphics painted onto caps or aprons and inscriptions chalked on the dissection tables pronouncing, “A vulture’s love,” or “He lived for others, he died for us.” This is clumsy student work and the cadavers all look like the remaindered manikins from a fright fest — save for a beautiful preparation by the circa 1910 Yale team. There is no undoing the psychic transgressions committed in the carnal chop shop of gross anatomy. A medical student suppresses his or her horror of the cadaver with the help of long standing traditions and professional absolutism that rebar a medical education. Nineteenth century strategies for the suppression of dissection horror were primarily directed against the poor and disenfranchised in order to maintain the steady stream of anatomic material. 3 Less well documented are the effects these dehumanizing strategies had on the dissectors themselves. Why else was a cadaver dressed in formal attire and propped against a wall if not for a group lark or hazing? Next to the corpse stands a female skeleton with a bottled fetus and a bloodied rod at her feet — the scene makes for a twisted hilarity on medical malpractice. 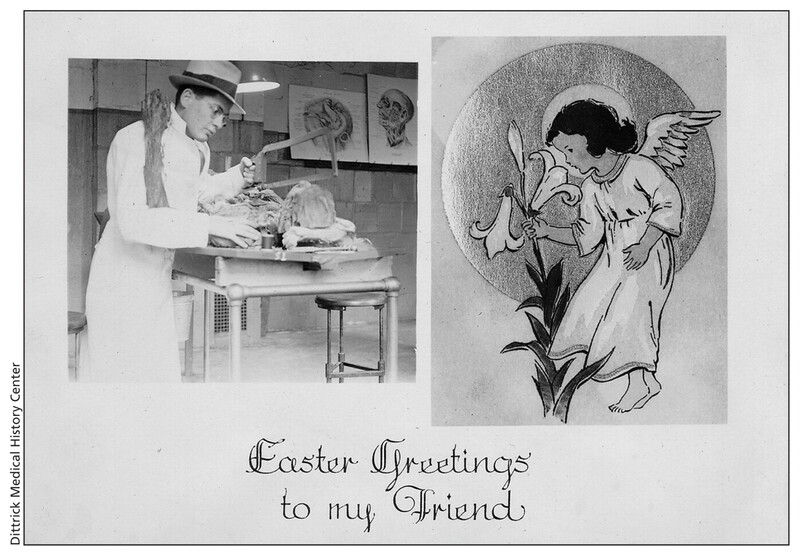 The iconography also provides several examples of staged role reversals whereby a student climbs onto the dissection table and a cadaver plays the part of dissector. But the humour is layered with the mental sacrifices made for the sake of acquiring a medical education. Fortunately, student anatomists today are made aware of the dangers of dehumanizing the corpse and this book will be used as a teaching tool for this purpose. 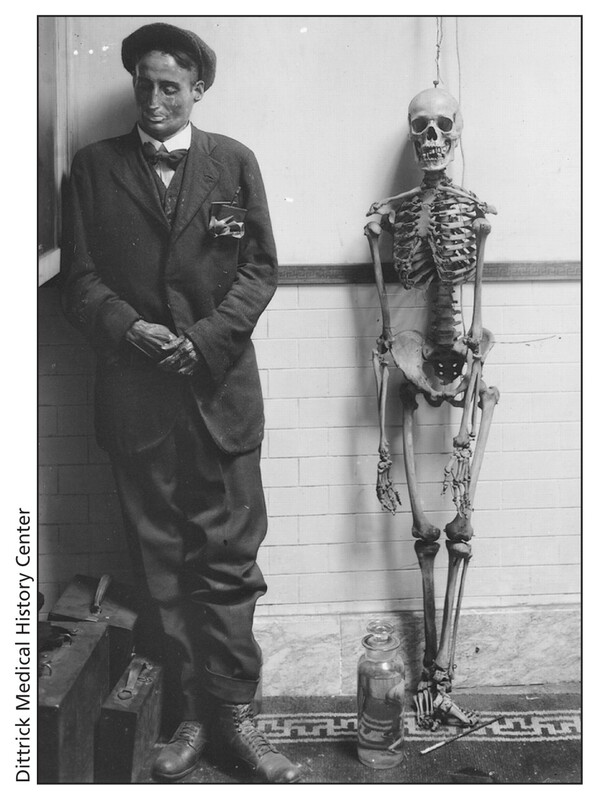 Mark Rowley has been compiling a bibliography of pre-1890 medical photography for the past six years. Waite FC. Grave robbing in New England. Bull Med Libr Assoc 1945;33:272–94. Sappol M. A traffic of dead bodies. Princeton (NJ): Princeton University Press; 2002. Richardson R. Death, dissection and the destitute. New York (NY): Routledge & Kegan Paul; 1987. Bardeen CR. Anatomy in America. Bull. U. of Wisc. 1905;115:171.